Are you sure Northern Operating Services Pvt Ltd. is closed down? Northern Operating Services Pvt Ltd. is listed in revaalo under Biz from Bangalore. Reviews, Ratings, contact details, services: . Company Name Northern Operating Services Pvt Ltd.
Write review for Northern Operating Services Pvt Ltd. Reviews for Northern Operating Services Pvt Ltd.
Northern Operating Services is one of the leaders in wealth management. Good company to start your carrier with. NOS is into wealth management at a very huge value. Nice working culture. The office is good interms of infrastructure and also friendly environment. Work is also good and challenging. Northern Operating Services is one of the world leader in Wealth management. 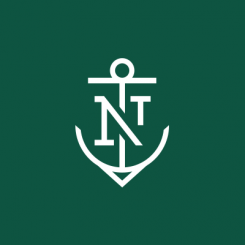 founded in Chicago in 1889, Northern Trust has offices in the United States in 19 states and Washington, D.C., 23 international locations in Canada, Europe, the Middle East and the Asia-Pacific region, and 18,100 employees globally.